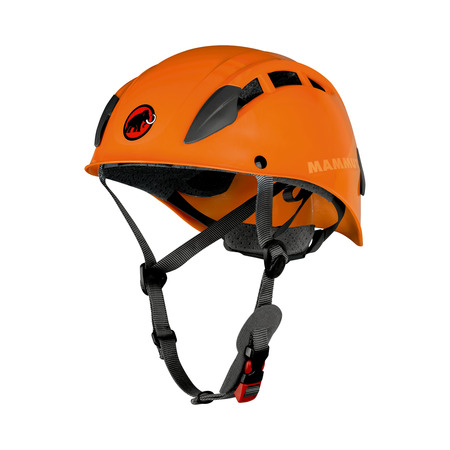 A top-class, ultra-lightweight climbing helmet! 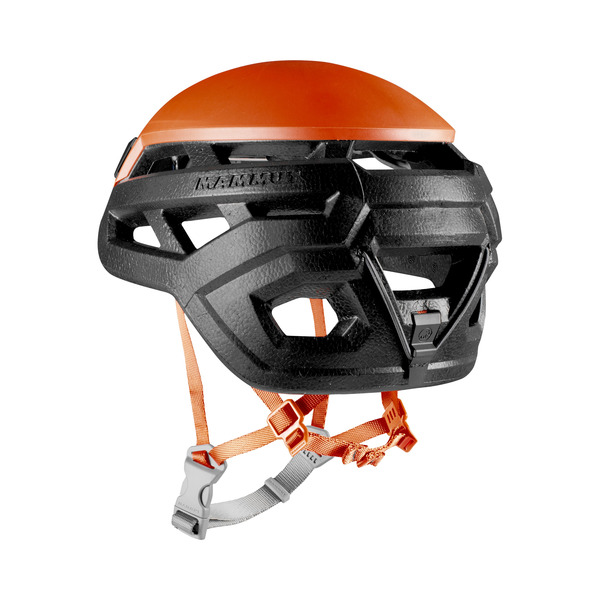 The very low weight is achieved by using an EPP (expanded polypropylene) shell and an absolutely minimalist adjustment system. 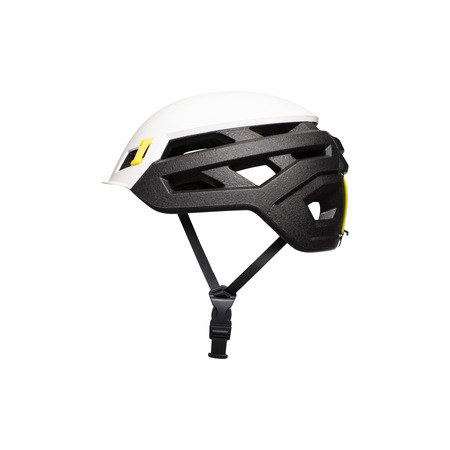 In addition to the excellent cushioning properties of the EPP plastic, the helmet shell is also reinforced with a robust hard shell so as to guarantee maximum safety. 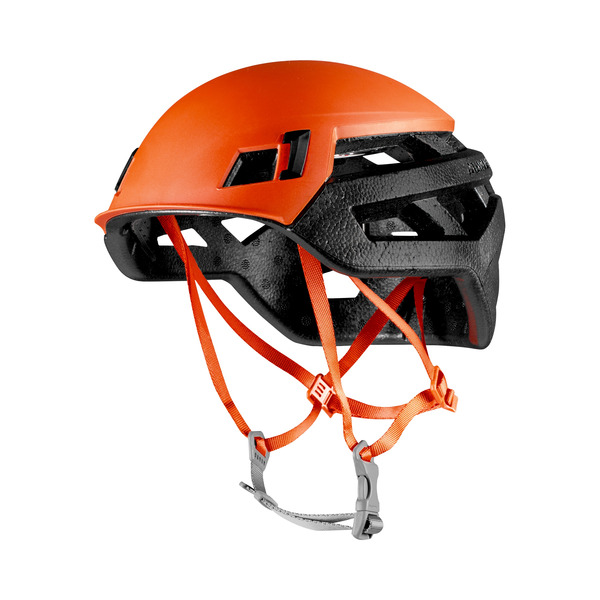 To help climbers keep a cool head when solving the next crux section, the Wall Rider is equipped with numerous generous ventilation openings. 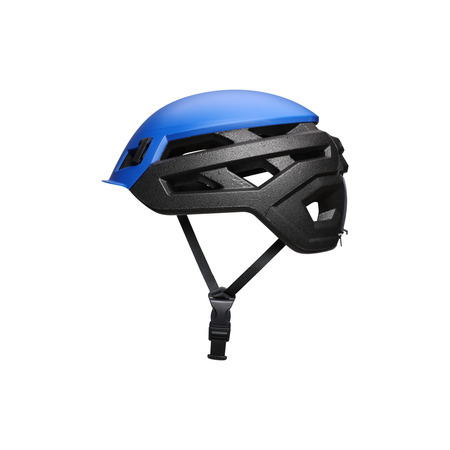 The superb fit and the individually adjustable adjustment system ensure that the helmet sits perfectly on the head. 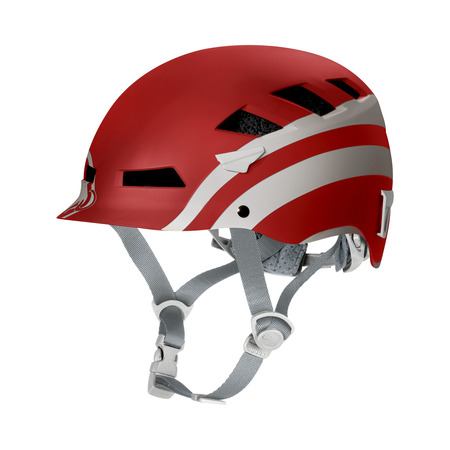 There are also two clips and a elast strap to attach a headlamp securely to the helmet.